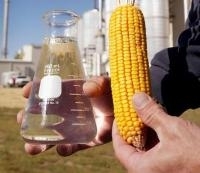 The once-popular ethanol industry is scrambling to hold onto billions of dollars in government subsidies, fighting an increasing public skepticism of the corn-based fuel and wariness from lawmakers who may divert the money to other priorities. The industry itself can’t agree on how to convince Congress to keep the subsidies, which now come in the form of tax credits valued at more than $6 billion annually. One industry group, Growth Energy, made the bold move Thursday of calling for the tax credits to be phased out completely in favor of spending the money on more flex-fuel cars and gasoline pumps that support ethanol.